Failed Critics has grown from the ramblings of one man trying to educate himself on film, to the writers you see here today. We don’t claim to be experts on film, and we certainly don’t try to hide our cinematic baggage under a cloak of supposed objectivity. We just love films; blind spots, weird crushes, unreasonable prejudices and all. At Failed Critics we’re more likely to break hearts than news. We care not for petty rumours and gossip, and we almost always pay to watch the films we’re writing about. Our personal connection to film is at the heart of everything we do here. Film, like all art, is about the way it makes you feel. The rest is just background noise. The Failed Critics are available on Twitter and Facebook, and an in depth study of each of them can be found below. Should you wish to contribute to the site, send them free stuff, or tell them off, you can email them. Often heard saying “yeah, I’m not a massive fan of that, but…” on the podcast to all of your favourite films, Owen is the resident prolific film watcher and editor for the Failed Critics website. Podcast host extraordinaire, Steve is a man whose logic defies convention. Stretching this to two lines is his biggest challenge. He succeeded. Cinematic turn-offs: Pointless, shoddy, Paint-By-Numbers remakes. Final films that are split into two. Andrew spends his days in his office, rehashing sitcom and film quotes wishing he had time to write something meaningful. Cinematic turn-offs: Movies made by accountants, usually Lionsgate horrors with a checklist to keep a 15 certificate. Paul’s father and grandfather were cinema proprietors. This somehow validates him spending an inordinate amount of time sitting in his pants watching films. Cinematic turn-offs: Films that put the location on the screen. I can see the Eiffel Tower, I know it’s Paris! John doesn’t spend all his time playing and talking about video games; he also does a lot of things he isn’t allowed to talk about in public, although it’s not as interesting as it sounds. Callum Petch keeps getting asked back onto the Failed Critics Podcast for reasons that are a mystery to him. Callum also did not like Two By Two, get over it already. Matt’s voyage into cinema began via work experience at 15 years of age as an usher, which led to a natural progression into Cinema Contact Centre busy body. Being able to see new movies for free and having 100% disposable income to blow meant a lot of bad DVD’s were bought and thus a monster was created. Cinematic turn-offs: Wilfully offbeat, experimental filmmaking; anything by Michael Bay. Tony spends far too much time podcasting & thinking about The X-Files, but when he’s not he also devours films, TV, books and eventually will release his own novels, probably circa 2110’s! Cinematic turn-offs: Anything to do with comic books. Schmaltzy OTT emotional guff. Frequently mistaken for a depressed tumbleweed, Liam is proudly ignorant of all forms of modern culture & spends most podcast runtimes saying “Nah, not seen it”. Brian doesn’t get to his local multiplex as often as he wants. You’ll have to speak up; he’s wearing a towel. James is the founder, former-editor and all-round Keyser Soze of Failed Critics. He walked off into the sunset and nobody knows if and when he’ll ever be back. He still hates Top Gun. I can’t believe I haven’t seen this post before! I’m really sorry – I didn’t intentionally ignore your comment. That’s so kind, thank you for nominating us! I know it’s a little bit late but I will get started on a reply soon. Thanks so much. No problem at all Owen. 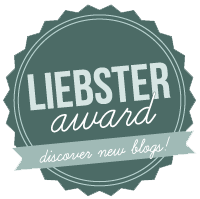 Congratulations – it’s a very well deserved award!